Essential for critical component applications, ultra-high sensitivity ZL-37 post-emulsifiable penetrant is designed for detecting fine, tight discontinuities in safety-critical components, such as titanium turbine components, and in high-stress parts, such as investment castings. This Type 1 penetrant is non-water-soluble so there is minimal risk of washing ZL-37 penetrant from a fine or shallow defect which makes this penetrant inspection the most reliable, dependable form of PT testing. 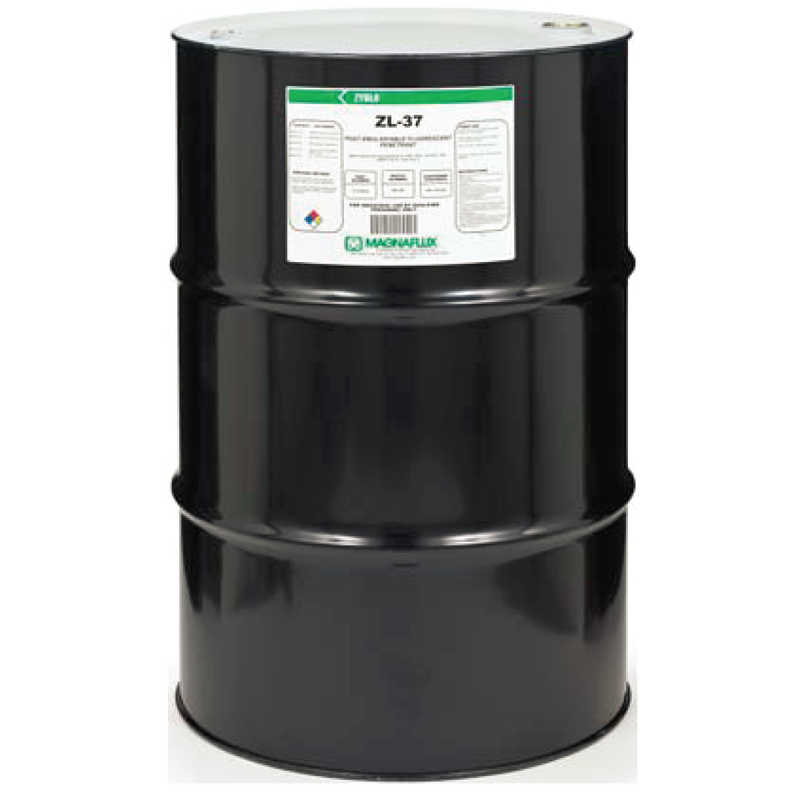 ZL-37 has a high flash point and provides long tank life when used in open dip tanks, but this penetrant can also be applied in a variety of other ways, including electrostatic spray. ZL-37 can be removed with ZE-4E Method B lipophilic emulsifier or ZR-10E Method D hydrophilic emulsifier. ​ZL-37 is listed on the QPL SAE AMS 2644 Qualified Product List and is approved for use by Pratt & Whitney.